Travel and Christmas time seem to go together like red wine and heartburn. It’s not exactly awesome, but it’s pretty darn common  Christmas and travel are stressful enough on their own, but combine them with winter weather and a couple thousand strangers in the same boat, and Christmas travel is not always the best travel. Long flights, extended waits, tiny airplane loos, cranky travel companions, dragging a massive coat around—even when things go pretty well, I think we’d all rather teleport than fly. Anyhow, I got the idea for this travel inhaler when I was seated right in front of the toilets on a flight that ended up being delayed on the tarmac for three hours before take-off, causing me to miss my connecting flight and resulting in my needing to take an extra flight several hours in the opposite direction of where I was going in order to catch a flight to where I wanted to be, landing a solid 7 hours later than planned. It was the loo proximity that had me thinking about devising this inhaler, though. That was not a delightful olfactory experience (to be charitable) and I found myself wishing I had something fresh in my purse that I could huff. Today’s recipe is refreshingly easy to whip up, which is perfect considering it’s a Relaxing Essential Oil Roller, and it would be rather counter-intuitive to try and kick-start some relaxation with a crazy complex recipe. You can assemble this roller in no time at all (you don’t even need to leave your ingredient storage area to go to your making area if you don’t want to!) and jump straight into the relaxing. Aaaaah. A huge part of Christmas is the smells—to me, at least. The indoor fir tree, baking, gingerbread, oranges stuffed with cloves, mulled wine, and the contrasts between hot and cold; crackling fires and crisp, cold air. I just love it! So, in true holiday fashion, I developed a handful of essential oil blends for your diffuser to help your nose really enjoy your December—even if your oven isn’t constantly baking cookies, or your tree is fake. Enjoy! I’ve got a disgusting cold right now, and this Essential Oil Cold and Flu Roller is my new favourite thing. It helps clear the sinuses, soothes my assorted aches, and helps cut through the pea-soup fog that has temporarily replaced my brain. 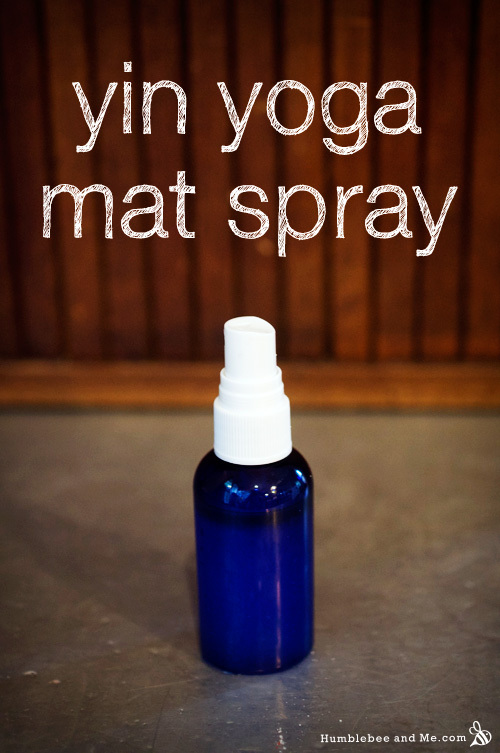 Loaded with refreshing, anti-bacterial, and anti-viral essential oils, it’s easy enough to make when you’re so congested it feels like your synapses are on strike, and it’s downright lovely to have on hand when you’ve devolved into a sniffling, red-nosed, achy, whingey mess. Urgh. Colds stink. Every week I make a point of attending a Flow into Yin yoga class. It’s my favourite class of the week; part work out, part therapy. We kick things off with a flow class, which then melts into a zenful yin class where we hold gentle poses for minutes at a time. I always leave feeling utterly divine. This balm was inspired by a recipe request from Phoebe, who loves Badger Sleep Balm. I liked the idea, but decided to head off in the “calming” direction instead of the “sleepy” direction. 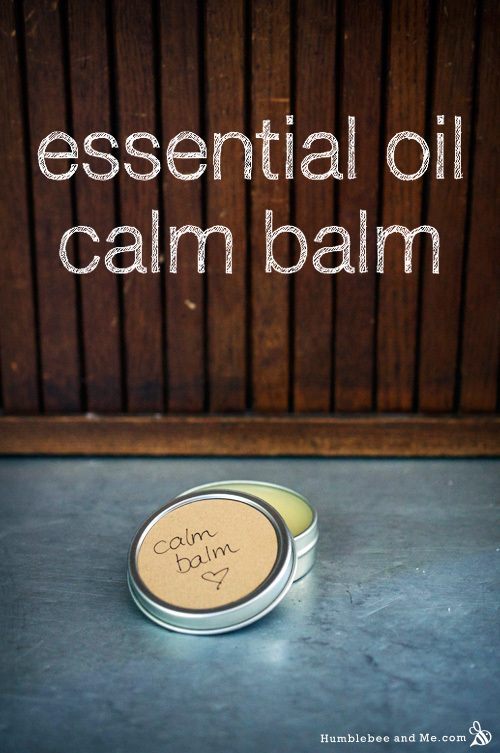 The resulting calm balm is addictively fragrant, with a complex, can’t-quite-pin-it-down scent blend. It’s smooth, but not too soft, and is downright lovely. Can you make me just one or two of these and sell it to me so I can see if I like the recipe?